We all know that laughter is the perfect medicine - send a colorful burst of cheer for your important occasion! 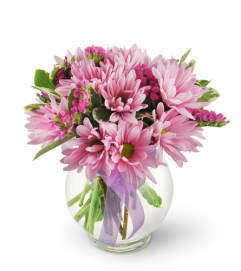 As a happy birthday or get well gesture, it's a perfect way to send joyful smiles. 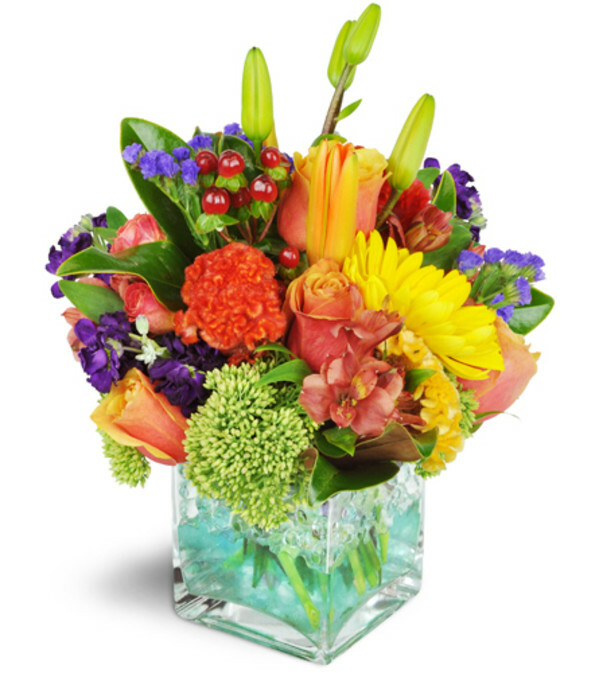 Featuring roses, lilies, alstroemeria, and so much more, arranged in a modern glass cube. Had to place my order over the phone from Rhode Island; spoke to Melissa who was very kind, professional and helpful. 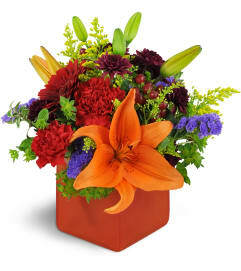 I love the fact that they sent me an actual photo of the arrangement via email along with purchase confirmation. Highly recommend this florist; well done and very pleased with entire transaction. Well priced and very convenient to order online. Then they send me an actual photo of the flower arrangement? that's awesome! I use Driftwood Florist frequently for a nice statement piece on a display table at community events. Their arrangements draw people in to my booth and everyone comments on how beautiful & fragrant they are! I am always impressed by their quality, friendly staff & affordability! 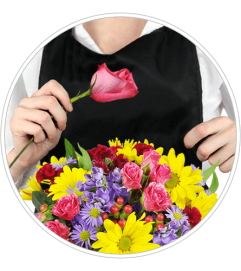 Driftwood Florist is a Lovingly Florist in Jupiter. Buying local matters. Discover how Lovingly supports local florists. Copyrighted images herein are used with permission by Driftwood Florist.